Our current strategic framework is the culmination of consultation and exploration with YWCAs around the country, and reflects YWCA’s legacy as a pioneering organization that squarely confronts social justice issues to make lasting, meaningful change. This approach defines our collective efforts, yet allows each YWCA to respond to the unique needs of its community. We seek to increase the equal protections and equal opportunities of people of color. 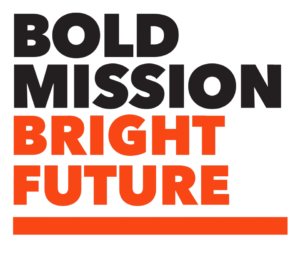 We work to increase economic opportunities for women and girls of color, recognizing the importance of addressing the race and gender inequities that exist for this historically and contemporarily marginalized community. We strive to improve the often disproportionately negative health and safety outcomes for women and girls of color by making sure they have access to high-quality health and safety resources and support systems. YWCA knows that in order to lead the charge against racism, we must also set the example within our own organization. African American and Native American women have been providing leadership in YWCA's movement since the 1800s, and because of the leadership of women of color, in 1946 YWCA began working for integration throughout the entire organization, adopting an "interracial charter" that established that "wherever there is injustice on the basis of race, whether in the community, the nation, or the world, our protest must be clear and our labor for its removal, vigorous, and steady." That work culminated in the addition of the "elimination of racism" to our mission statement in 1970. YWCA USA supports women's economic empowerment and a work and family agenda. Women comprise more than half of today's workforce. One in 4 women are now the sole or primary breadwinners for their families. An overwhelming majority of mothers with children under 18 years of age are working. Women of color are overrepresented in low-wage industries that lack basic workplace protections. There is no doubt that women are central to the economic well-being for their families and play a critical role in our nation's economic prosperity. Despite this, 21st-century workplace policies are out-of-date and do not adequately support a women's ability to balance work-family demands. All women and their families would benefit from family-friendly policies such as paid sick days, an increase in the minimum wage, and fair scheduling practices. YWCA seeks to improve the lives of women and girls by providing high-quality health and wellness programs that are too-often not available to disadvantaged and marginalized communities of color. Annually, YWCA provides more than 400,000 women, girls, and their families with programs and services designed to address health inequities. Nationally, YWCA continues to advocate for increased access to healthcare and supports public policies such as Affordable. Care Act expansion that would greatly benefit the women, girls, and families we serve every day. 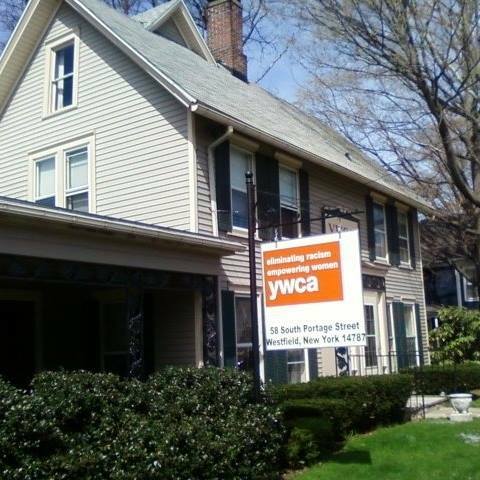 The YWCA Westfield was established in 1894 to meet the needs of the women and girls in the community. Throughout the years the organization has grown and changed to meet the needs of the surrounding area, but the agency remains a membership organization. In the early 1900s, the YWCA moved into the building at 58 S. Portage Street and has been the home of the YWCA Westfield since then. A non-profit organization, our programming is funded largely by grants, memberships, and donations from community members like you. In addition to regular employees who implement quality curricula for children, the YWCA Westfield is also governed by a Board of Directors who volunteer their time providing valuable learning opportunities and events for the village.